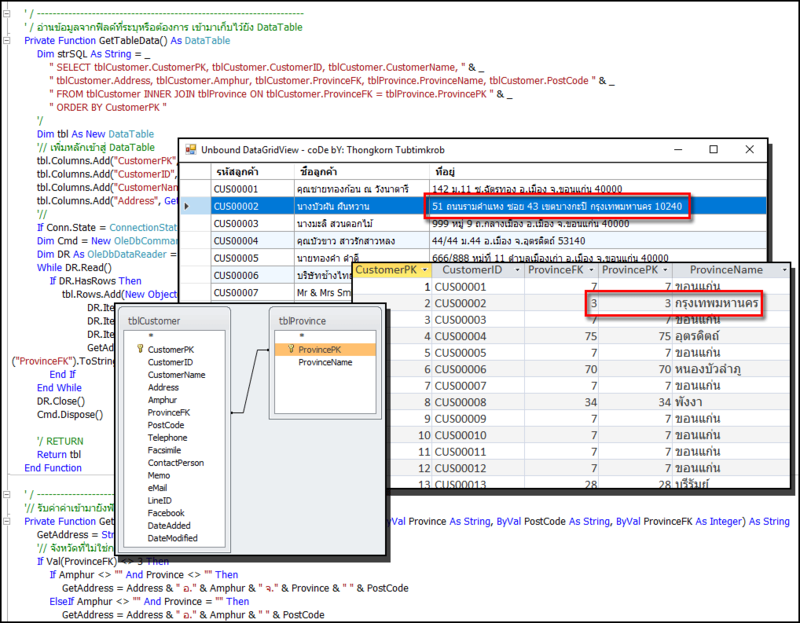 [VB.NET] การ UnBound Data บน DataGridView เพื่อจัดรูปแบบการแสดงผลฟิลด์ข้อมูล - เว็บบอร์ดเปิดโค้ดต้นฉบับ - ชุมชนคนรักภาษาเบสิค - Visual Basic Community - Powered by Discuz!
' / Purpose: Unbound Data method and bring the data fields together.
' / This is open source code under @CopyRight by Thongkorn Tubtimkrob.
' / You can not distribute this code for free. Without the consent of the developer. strPathData = MyPath(strPathData) & "data"
'// Load Data into the DataGridView1.
" Data Source = " & PathData & "MyDB.accdb;"
If Microsoft.VisualBasic.Right(AppPath, 1) <> "" Then AppPath = AppPath & ""
GMT+7, 2019-4-20 19:19 , Processed in 0.311763 second(s), 4 queries , File On.